when everyone is looking the other way and when you turn round later this year it will be EVERYWHERE! I love crochet for the same reason I love patchwork, it's that whole 'gestalt' thing - where the whole is greater than the sum of the parts. It always seems so friendly and pure of heart. As always the best way to work a trend is enjoy it before it crosses over and goes mainstream. 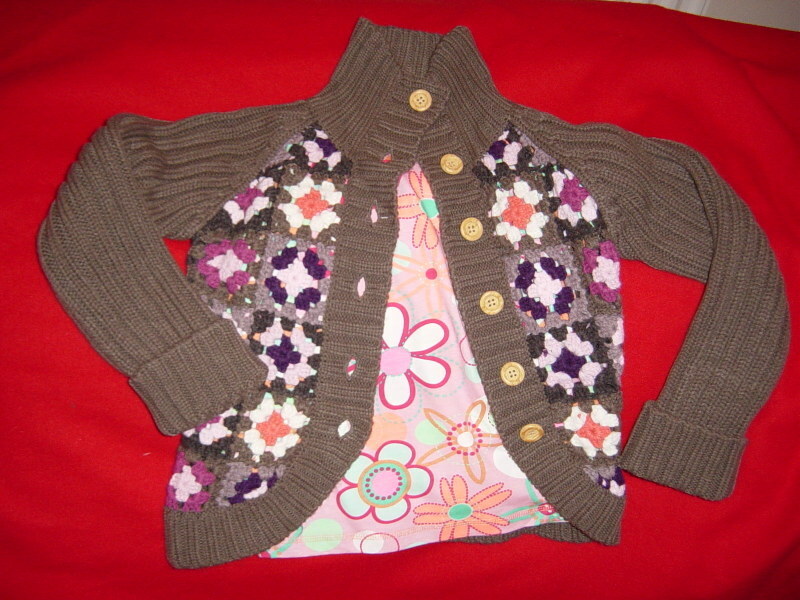 So it goes without saying that when I found this super cute crochet cardigan and full bloom t-shirt for Princess Laura, I snapped them right up. She is going to love them. 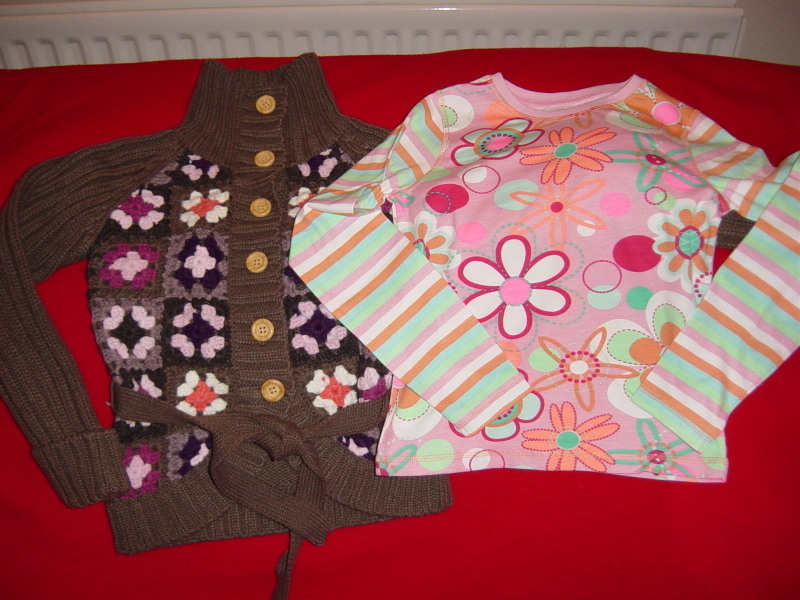 I love crochet, these sweaters look great. Crochet is indeed making a comeback. UK jewellery designer Semina Lewis is using crochet in her jewellery which has become quite popular. She uses semi-precious gems such as Amethyst, Tourmaline and Topaz incorporated in the crocheted silver wire.